Minnow is named for her love of water, and the Grateful Dead song Ripple. The little fish with the big fan club, Minnow's exceptional drive and marking abilities has built her a list of admirers in the field, while her irresistible wiles earn a fan in everyone she meets. Forever an optimist, Minnow has never known a bad day and savors life with the contagious joie de vivre only retrievers can know. 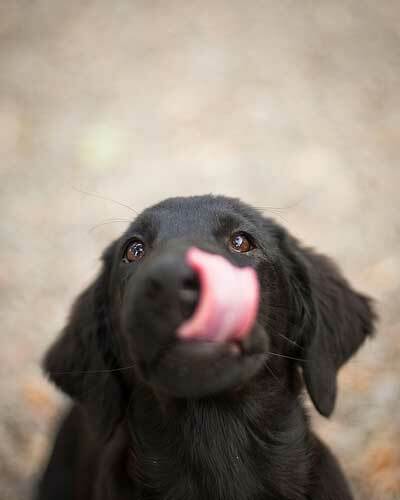 Minnow happily shares this enthusiasm with anyone willing to listen, two-leggers and four-leggers alike, and those who experience Da' Mins never forget her. 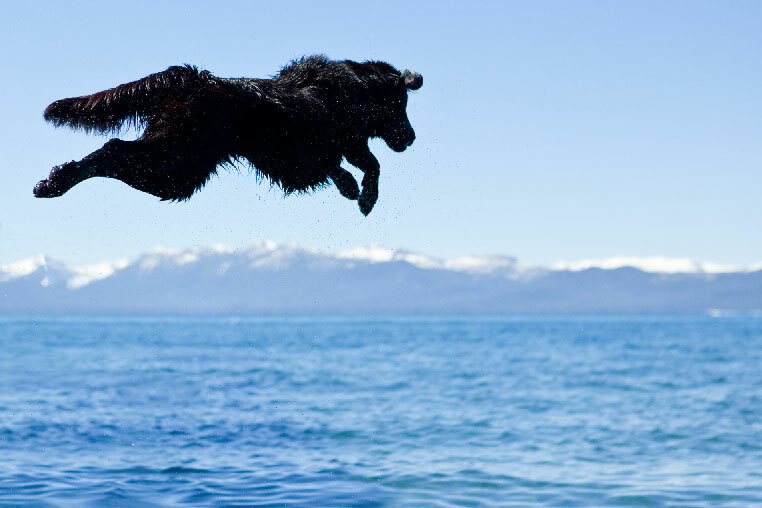 Athletic as they come and utterly fearless, Minnow's airborne antics are always a crowd-pleaser. With her positive energy, bubbly personality, and good humor, Minnow is a wonderful addition to the pack and we all have loads of fun with her. Despite her enthusiasm, Minnow is an easy house dog with an always reliable temperament, and is always adaptable to new situations. 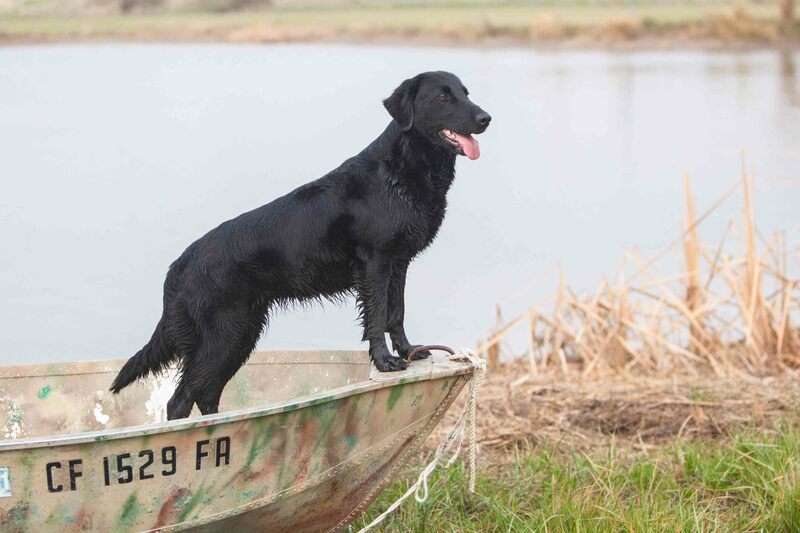 True to her heritage, Minnow's first passion is for the field where she is a high-rolling yet supremely trainable dog brimming with desire. An extraordinary marking and lining dog, Minnow often makes me forget that she is still just a pup, running with the big dogs in training. 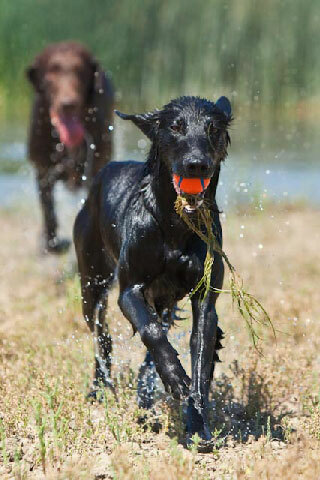 With her happy training attitude, keen intelligence, and eagerness to learn, she is a joy to train. Her independent confidence on marks is balanced by biddability and a team player attitude. Minnow demonstrates excellent memory on multiples and good water attitude. Minnow JAMmed an all-breed derby before ageing out and soonafter earned her Senior Hunter with ease. She has handily passed 3 Master tests, and was crowned the 2015 FCRSA Steady Singles Champion. Minnow is an athletic, petite girl, yet well balanced, with proper proportions and bone for her size. Minnow is a touch straight in the shoulder, though well compensated for in her upper arm and prow, which are exceptional. 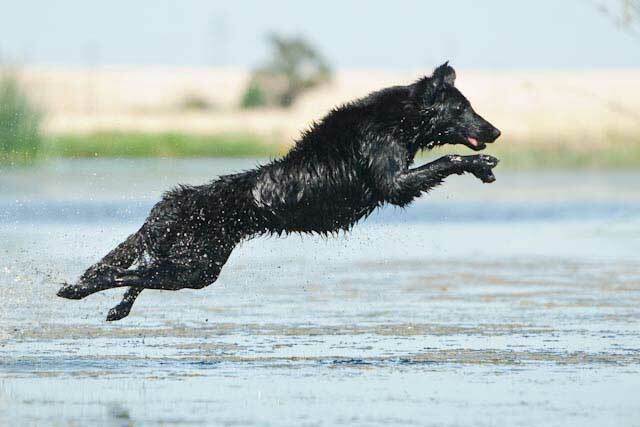 With a level topline, correct tail set, good length of loin, and plush, dense coat, Minnow has a pretty silhouette complemented by an elegant, feminine head and keen expression. She could use a darker eye. Though Minnow's primary focus is the field, she finished her Championship in short order, with 3 majors and wins over specials. She also placed in a competitive field trial class at the 2015 National Specialty in Georgia. 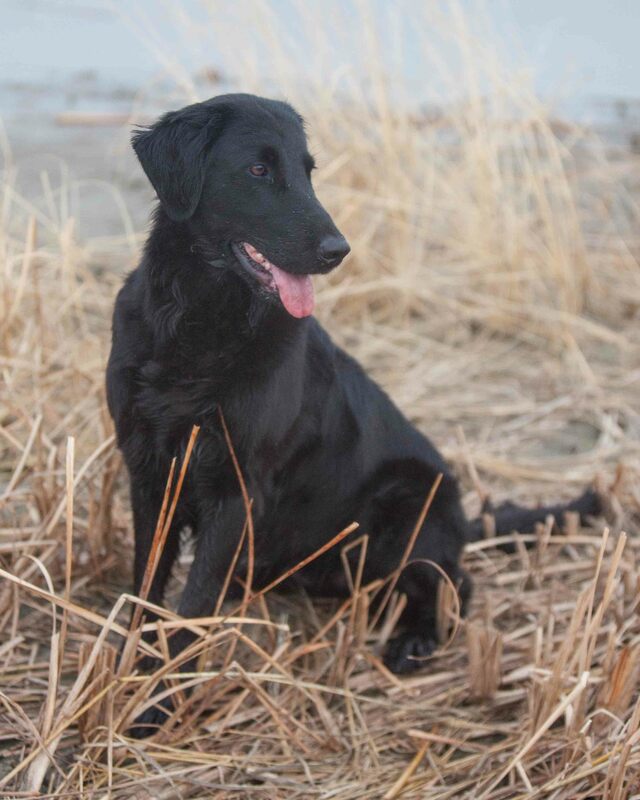 Minnow's distinctive pedigree incorporates several of the top field Flat-coats from Sweden, England, and North America. Minnow's first litter, to our own Boy Wonder, was an all-time favorite bunch of puppies. 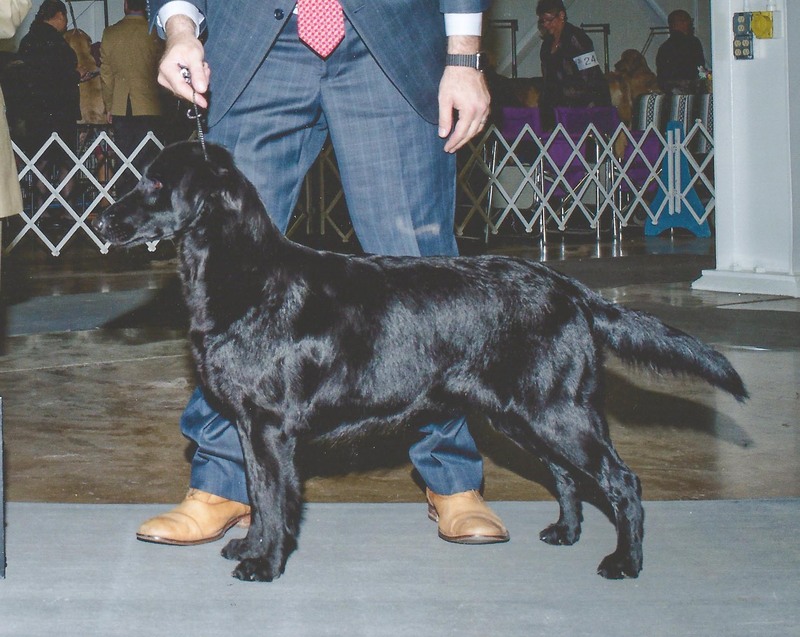 Though not year 3 years old, the litter includes multiple breed Champions, a MACH, an HOF qualifer, advanced field titles, obedience and dock-diving titles, and more. All are stable and adaptable family companions. Minnow will be bred again in early 2016. Sire to be announced. Minnow hails from Mary Young's Windfall Ranch in Texas.